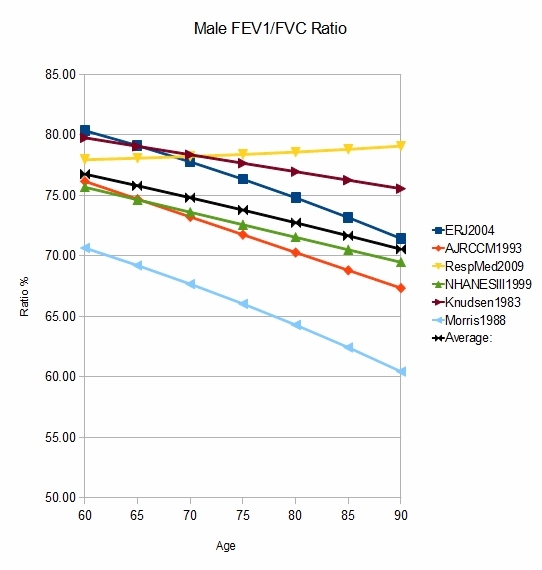 Here is a study by Albrecht et al (2014) confirming a relationship between longer telomeres and better lung function. They also found shorter telomeres in those with COPD and asthma. In Sanskrit, the word Prana means breath, vital force, and spirit. It has long been known that as we age, our capacity to breath (and therefore move oxygen, CO2, and stressful thought) diminishes. 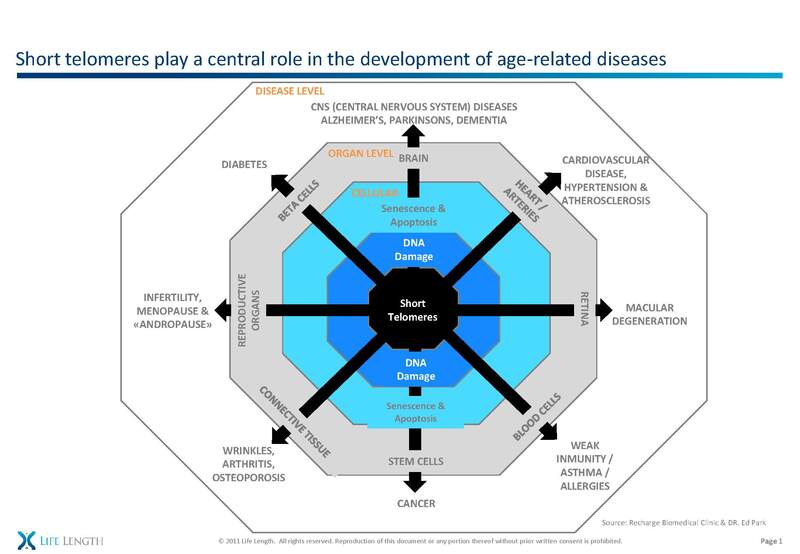 That is why it has been a key measured biomarker of aging in our Patton Protocol patients taking TA-65. As with any chronic organ failure, the rapid turnover of cells leads to attrition of the available stem cell population. So perhaps it isn’t the coal dust causing lung cancer as much as the overwhelming of the system by overwhelming stem cell crisis, death, and overcopying? The same would apply to the relationship of hepatitis to liver cancer. The same applies to the higher risk of ovarian cancer from never having anovulation from birth control or pregnancy. I believe that it is imperative to learn to breath deeply and consciously. Breathing engages the cranio-sacral responise (relaxation), lowers cortisol (the stress hormone), and blows off acid that everyone is trying to combat with the latest fad of alkalizing. We now see that science is and its study of telomeres is validating long-revered “hacks” for aging, including sleep, exercise, the Mediterranean Diet, and meditation. What science is not so good at understanding is the why; that’s where my unified stem cell theory of aging and disease comes in. In other words, everything is deteriorating by the same mechanism but we have the ability to slow this process using healthy habits that restore lokahi, or balanced flow to our organism as a whole and by getting the proper rest and recovery. 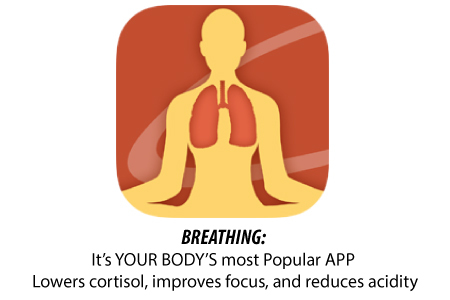 There are many apps for your smartphone to remind you to breath and/or be mindful and I recently met a man who says he takes a few deep breaths every hour because he is reminded to by his device. So not all tech is a nuisance after all. But in the end, I suppose you could say breathing has always been your body’s #1 most used app. There are a lot of things you can do without, like thinking, sleeping, talking, bathing…but breathing is not one of them. Check out this entertaining TED talk by magician David Blaine about his attempt to break the world’s record for breath holding. Fascinating stuff.